Конвертер DBX в PST конвертирует DBX в файл PST без каких-либо изменений данных. Пресса: The updated version of DBX to PST Converter is now available in the market with free demo verison. DBX to PST Converter tool provided by SysInfo Software can convert DBX files into PST format without causing any alteration to the original data. It's one of smartest solutions for migrating from Outlook Express to Outlook client. 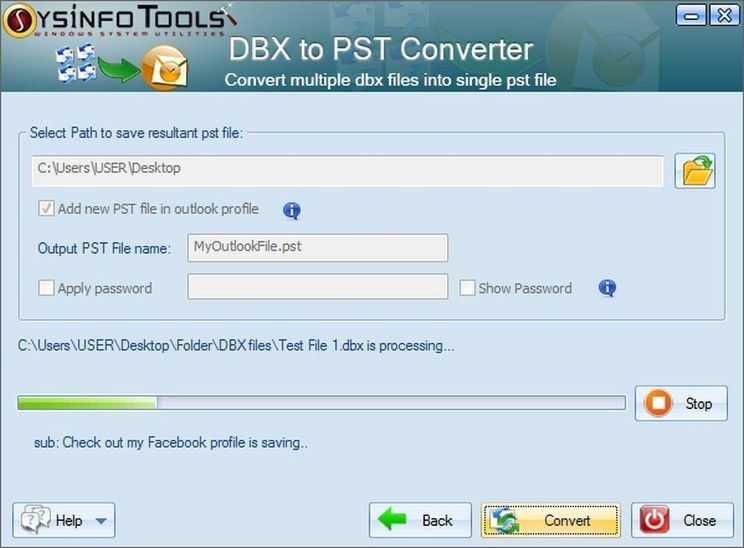 The trial version of SysInfoTools DBX to PST Converter software can be freely distributed over the Internet in an uncharged and unchanged form. SysInfoTools DBX to PST Converter Copyright by SysInfoTools Data Recovery. Your Agreement to this License You should carefully read the following terms and conditions before using, installing or distributing this software, unless you have a different license agreement signed by SysInfoTools Data Recovery.